Send a Friend Request | Last Seen Playing "Sonic The Hedgehog 3"
Small Arms is a hybrid fighting/platforming/shooting game. Up to four players battle it out with a set of interchangeable "gun arms". Each character starts with an initial weapon, and can pick up new ones as the match progresses. ... more info..
Child of Eden is the "multi-sensory shooter" that will send players diving into a kaleidoscopic matrix of synchronized music and mind-blowing visuals that will usher forth yet another landmark game experience from the mind of reno... more info..
Contra makes it's way onto Xbox Live Arcade.. And yes up, up, down, down, left, right, left, right, b, a, start works. In Contra, the world has been invaded and only two soldiers stand between the alien menace known as Red Falcon a... more info.. Heavy Weapon is a classic arcade-style side-scrolling action game in which the player strives to defeat hordes of enemy armies in the form of tanks, jeeps, fighter jets, helicopters and other land- and air-based vehicles. Power-ups that pro... more info.. 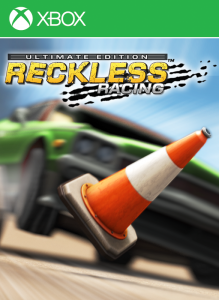 The ultimate edition of the acclaimed Reckless Racing top-down racer series is here. Now bigger and dirtier than ever! Race with a huge selection of road and dirt tracks, single and multi-player events, modded cars and trucks, ... more info.. 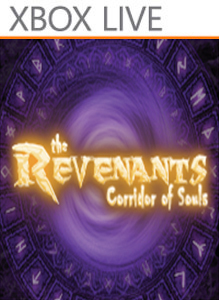 The Revenants - Corridor of Souls is a top down, touch-based action puzzle game created by Chaotic Moon Studios. The game follows a newly formed spirit as it struggles to survive in the haunted catacombs of a dark afterlife. To survive, y... more info..
Microsoft and Sega join forces to bring some of the best console classics to Xbox Live Arcade including “Sonic The Hedgehog High Speed.” Everyone’s favorite blue hedgehog makes his high-speed debut in high definition with full leaderboard a... more info..
Return to the Red Alert continuity of the esteemed Command & Conquer RTS franchise in this full-fledged series sequel. Red Alert 3 breaks new ground in the RTS genre, featuring a fully co-operative campaign while bringing back the serie... more info..
Classic Amiga title to get Unreal Engine next-gen makeover; will only be available via download. Team 17 are reviving the classic Alien Breed franchise in this all new Unreal powered remake. ... more info.. Guitar Hero: Metallica is an upcoming rhythm game based on the latest Guitar Hero: World Tour series but this time powered by Metallica's Fiercest Songs. Guitar Hero: Metallica will be the second game of the Guitar Hero series to f... more info..
Ghostbusters is available for the Xbox 360, Windows PC, PLAYSTATION 3 computer entertainment system, PlayStation 2 computer entertainment system, Wii and Nintendo DS. In an exclusive deal for Europe and the PAL regions, the PLAYSTAT... more info..
“Gears of War 2” is the highly anticipated sequel to the 5 million-selling blockbuster action game and one of the most popular Xbox games in history. Players continue as Marcus Fenix, a reluctant war hero and leader of Delta Squad, s... more info..